I was busy last week so I didn't have the chance to post. 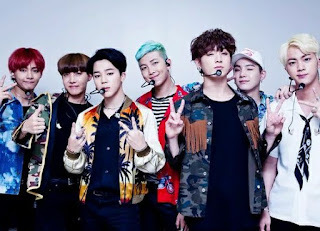 So, as promise for today post I'll write about BTS. As previous post, I like BigBang for years since I finish high school but I do not really keep myself update like I do with BTS. Because I really like them, much more than BigBang. 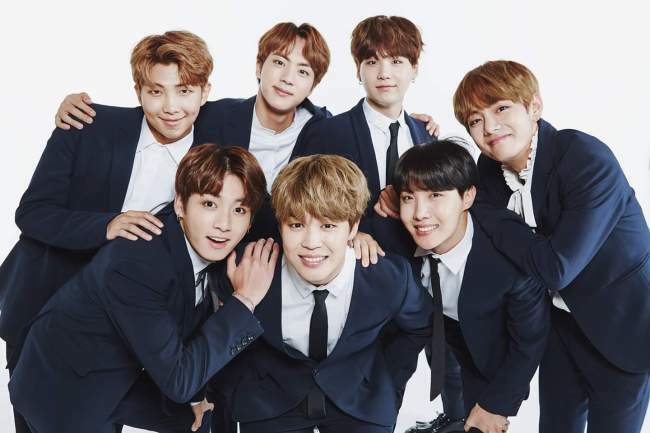 BTS stands for Bangtan Boys, or Bangtan Sonyeondan a seven member group of South Korean boy band. Debut in June 12, 2013. The members are Kim Nam Joon the leader, Kim Seok Jin, Min Yoongi, Jung HoSeok, Park Jimin, Kim Taehyung, and Jeon JungKook. I started to like BTS in the end of the 2015 but getting to really like them in 2016. I most like is RM and the least is Jimin. Sorry Chimchim. But I like all of them, no worries! 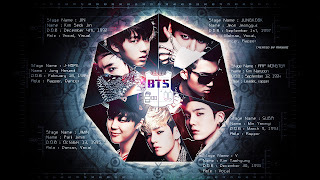 In my rank it will be RM, RM, RM, RM, RM, RM, RM. No I'm joking, don't get mad. I know some ARMYs will be mad at people who's Solo Stan. 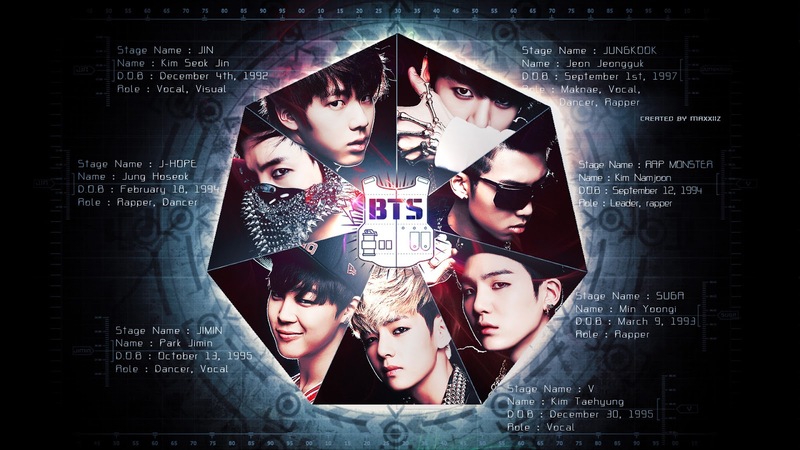 For real, in my rank it will be RM, Suga, JHope, Jin, Jungkook, V, and Jimin. As you can see, I like the rap line the most! What about yours? I started to use twitter again because of them, they keep updating on twitter instead of Instagram so I do need one to keep me update! They also use CafeDaum, it is a fancafe where they share photos, post and comments on ARMYs post but you have to pay to be in the fancafe to see them. But most of the posts are in Korean and I don't understand any of it so I only register as free member. Also, it doesn't benefit much to international fan as they mostly focus on Korean based shows and events. Other than twitter, cafedaum, I also have an account in Vlive where I can watch Run BTS episodes and sometimes lives video! It is fun. Do you have those account to watch them? I bet you do ARMYs.